Home > Articles > OpenDDB is now a reality! OpenDDB is now a reality! Promotes an increasing number of young, independent and emerging productions that mainly use crowdfunding practices and entirely release their works under Creative Commons licenses. Creates a meeting and sharing space for emerging directors and other internet users, to spread content, information and stimulate a collective debate. Builds networks and connections between independent productions in Italy and abroad. Supports independent productions through innovative practices based on new definitions of economic relationships and gift culture. Stimulates the meeting between different actors for the distribution of and access to movies and documentaries (public projections, debates, festivals). New digital technologies made production and availability of audio-visual works cheaper and more accessible in an increasingly open and competitive market. This market doesn’t help the financing, support and distribution through mass media and cinemas of low budget, self-produced works or of those works addressed more to cultural promotion and social communication. OpenDDB wants to be a connection, an access point, a tool to increase visibility, build networks, create relationship between authors, works and the public, with the purpose of increasing cultural capital through a fair, sustainable and mutual sharing of collective narratives and stimulating public debates. Thanks to these connections, the user can evaluate content, can contribute to the authors’ work, or become a part of the distribution network of OpenDDB, organize public projections or thematic festivals with us, help us in spreading independent and self-produced DVDs and CDs. In computer sciences, the expression “open source” defines those intellectual properties which have favoured the growth of a language by sharing the programming code of the work itself. 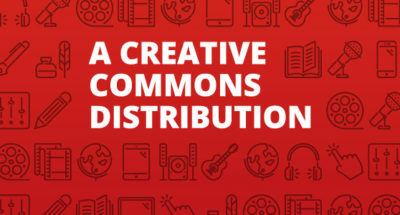 In the field of audio-visual production, Creative Commons identifies a particular kind of license of use chosen by authors to develop the possibility of spreading and re-using of their works. This choice aims to increase their social value trough their circulation and to reinvent the economic mechanisms of cultural production. OpenDDB applies the aims and virtuous processes activated by this sharing approach and proposes an alternative model of sustainability, which combines the spreading and the promotion of creative works. How can I use OpenDDB? OpenDDB is a database of musical works and documentaries released under the Creative Commons licenses, available through a free donation as CDs/DVDs or file sharing, for private use or public sharing. OpenDDB works on sorting and creating a network of contacts with local groups and independent cinemas interested in projecting the works available in the catalogue, supporting the works of authors. OpenDDB is a network of authors inspired from an open source policy, whose work is oriented towards building a collective and shared narration to create civil debate and consciousness. OpenDDB also works on building communities of interest around political, social and environmental issues, to activate dynamics of participation, sharing and dissemination of the catalogue’s works. Consult the catalogue, download a movie, an album or ask for a CD/DVD. Leave a donation to support the work and the portal. Organise a projection. Write us to have more information about how to organise an event or a cycle of projections in your city or neighbourhood. ORGANISE AN OpenDDB DISTRIBUTION POINT. Write us to know how to organise a distribution point (in your association, library, social center or squat) of works available in the OpenDDB catalogue. We encourage teachers to bring OpenDDB documentaries in schools, using them for projections or thematic cycles on issues treated by OpenDDB authors. The purpose is to spread our works inside schools, higher education institutes and universities, as much as possible.